Description: Nice for indoor plant or in the landscape in shaded area. All year varieties include leather leaf and davallia (rabbit's foot). 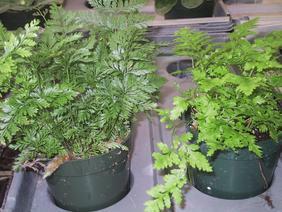 During the summer months, varieties include two types of maidenhair and two types of pteris.